A couple of months ago I was sent over some Bouclème products to try. I bleached and dyed my hair over a year ago now and it had started to take its toll on my hair so I was in desperate need to try something new. I'd seen a lot of hype on Snapchat and social media in general about the brand and so when I opened the package I couldn't wait to slather my hair in alllll the products! As you know, when it comes to my hair nowadays I follow the rule of 'the more natural the better'. So the fact that "the entire Bouclème range contains 0% sulphates, silicones, mineral oils, petroleum, propylene glycol, PEGs, parabens, and artificial fragrances and colours" makes me so happy! I've been using the whole range everyday for about 2 months now and I've seen such a change in my curls. They are more defined, bouncier and generally look healthier. The standout product in this set I would say is the Curl Defining Gel. It's so lightweight and even when I accidentally slathered way to much on when I first tried it, it didn't weigh my hair down or dry it out! 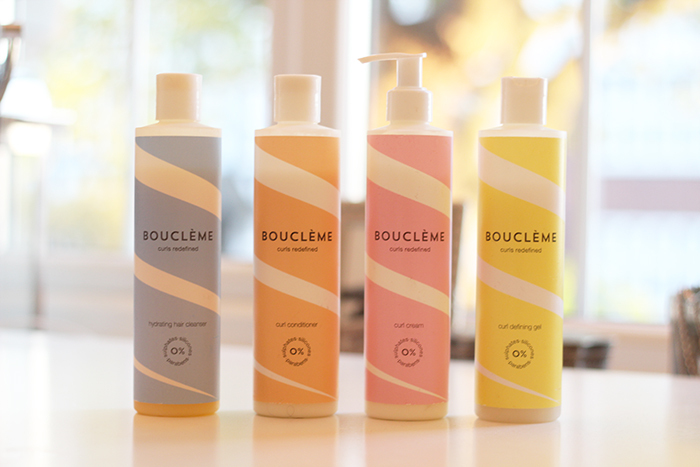 You can buy the Bouclème line on their website or if you wanted to see them first they are stocked in my favourite beauty store Content Beauty in Marylebone. Have you tried Bouclème? What did you think?